Robby is the Country Head of UBS, and concurrent Head of Equities for the Investment Bank. She has been with UBS since 2000, and heads a team that has consistently ranked as best in class in Equities Research, Sales and Trading/Execution. In 2017, UBS was ranked #1 in turnover in the Philippine Stock Exchange, with a market share of 10%. In the past five years, UBS was also awarded The Best Brokerage House and Best Equity House four times by The Asset. 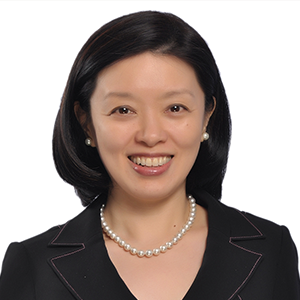 Throughout her career, Robby has been involved with a wide range of equity capital market transactions in the Philippines, with lead roles in executing IPOs and follow-on offerings. With over 28 years of experience in the Philippine market and with institutional clients, she has regular contact with the investor base over the years, riding through waves of changes in both the buy-side and sell-side of the industry. Robby graduated from the Ateneo de Manila University with a B.S. degree in Management Engineering. 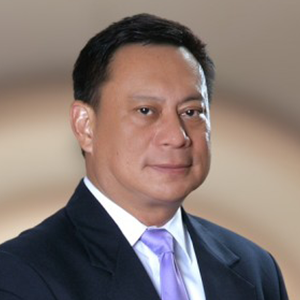 Chairman/CEO, Partner Ng Bayan, Inc.
Jose Magsaysay Jr. or Jomag is an entrepreneur, a mentor, and currently the President, CEO and Chairman of three organizations including Cinco Corporation, the company behind the Potato Corner franchise business. Jomag started his career at Wenphil Corporation (Wendy’s) where he served as a part-time crew and reached a District Manager position from 1983 to 1998. After years in the corporate world, he decided to venture into entrepreneurship and join a business group that launched the flavored French fries concept, Potato Corner in 1992. His experience with operations was a key value added to the team that propelled the business to both, local and international success. At present, Potato Corner has 73 outlets in Indonesia, 27 outlets in the USA, and 500 outlets in the Philippines. Because of his contributions in Potato Corner, Jomag has received several recognitions, including the Entrepreneur of the Year award in the 2016 Asia CEO Awards, beating 11 other finalists. Jomag is a graduate of De La Salle University with a Bachelor’s degree in Communications Arts. He earned his Master’s degree in Entrepreneurship from the Asian Institute of Management in 2001. And in 2011, he got his certification as a Certified Franchise Executive from the International Franchise Association. He also took the Owner/President Management Program at Harvard Business School. Venus, a highly respected media industry leader, rejoined the Interpublic Group in 2014 as founder of IPG Mediabrands Philippines – now considered as the fastest growing media agency group in the country today. IPG Mediabrands Philippines is composed of media agencies, UM and Initiative; digital agencies, Reprise and Cadreon; and specialists companies, Ensemble (content), Rapport (OOH) and Mediabrands Analytics. Under Venus’ leadership, IPG Mediabrands is now ranked #1 by RECMA, an independent research company evaluating the media agency industry, breaking Southeast Asia records for achieving the highest score in a two-year period. It swept all the Media Excellence Awards in the recent 4A’s Agency of the Year, won Silver in Campaign Asia 2018 Agency of the Year and Gold for Best Talent Management Team of the Year for Southeast Asia. Venus chaired the highly successful 2017 Media Congress and was overall consultant to the host committee of the Miss Universe event held last January 2017 in the Philippines. She spent 18 years in the McCann World Group as EVP and Country Head for Universal McCann. During her time, UM won awards at Cannes, Spikes, the Asian Marketing Effectiveness and was named Philippine 4As “Media Agency of the Year” five times. 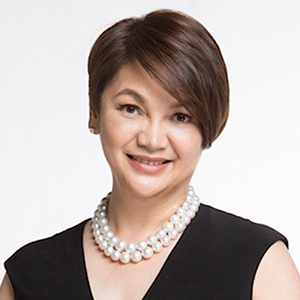 After a brief retirement, she joined ZenithOptimedia Philippines, as Chairwoman, where she propelled the agency to winning three “Media Agency of the Year” awards in her three years with ZO. She was past President of the 4As, Adboard Director and Committee Chair in several Advertising Congresses. She graduated with a degree in Broadcast Communication from the University of the Philippines, and was honored as one of its most outstanding alumni of UP-CMC in 2008 and is a recipient of the Glory Award in 2017, an award spearheaded by the UP CMC Alumni Association.